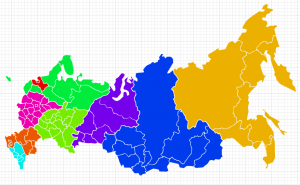 Visio template containing all regions of Russia. 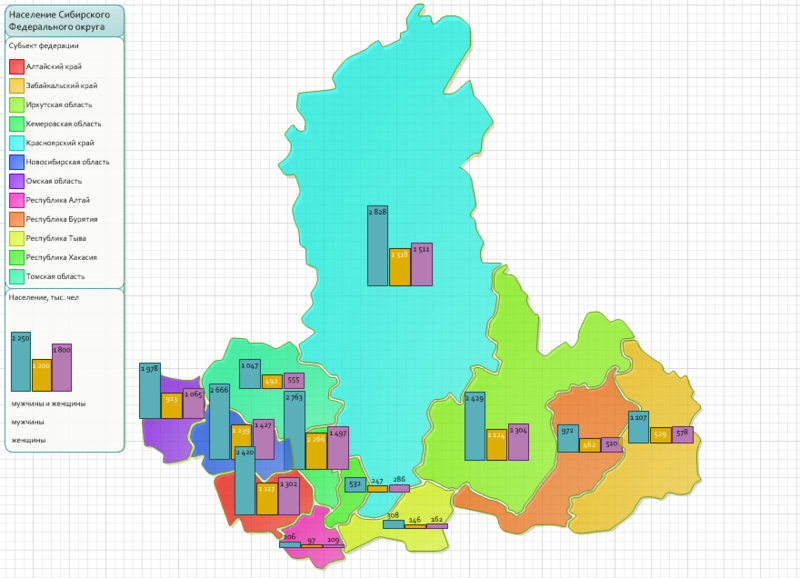 The regions were designed to work as all other Visio-based maps (e.g. world map, europe map), and alike. Each region shape in a stencil is equipped with shape-data which includes region name (in English and in Russian), region code, macro-region name, capital, and some other potentially useful fields. You can easily bind this to some data you have to build a nice diagram with external data, e.g. see examples below with “macro-regions” and “population”. Please check out also functions “Arrange to Page” and “Arrange to Shape” from the “world map” shapes. Press SHIFT and then click to select each of the shapes. Right-click one of them, and then click Arrange To Page. Drag the additional shapes onto the drawing page. Press SHIFT and then click to select each of the new shapes. Right-click one of them, and then click Arrange To Shape. The map is available in 3 fashions – zip file with template/stencil and installer for Visio x86/x64.